Mike Trout has been the best player in baseball since his first full season in 2012, and the 27-year-old will likely be the best player in baseball for many more years. He’s so good that the $430 million deal he recently signed is viewed as a bargain for the Angels. So, we’re quite used to Trout putting up ridiculous numbers annually, but his start to the 2019 season is taking things to another level. 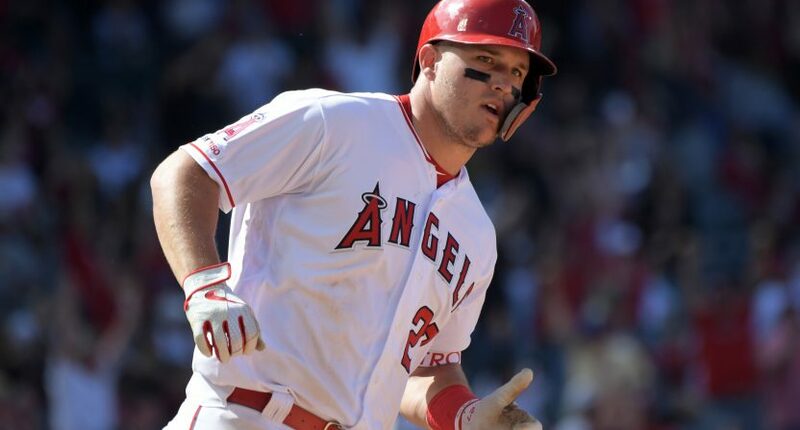 Trout homered for the fourth straight game in the Angels’ 7-2 win over the Rangers on Sunday in Anaheim. Following Sunday’s game, Trout is alone atop the FanGraphs’ WAR (fWAR) leaderboard at 1.2. Yes, only 10 games into the season and Trout is already leading in WAR. Trout leads the majors in on-base percentage at .581, slugging percentage at exactly 1.000, and OPS at 1.581. He’s walked 11 times (25.6%) and been hit by three pitches in 43 plate appearances, with just four strikeouts (7.0%). Even with the 14 combined walks and hit-by-pitches, Trout still has five home runs, which is tied for second in the majors. It’s hard to imagine Trout — who’s been a 9+ fWAR player five times — actually getting better, but if his start to the 2019 season is any indication, that just may be the case.